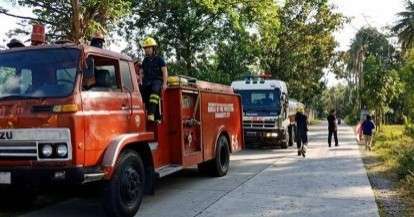 THREE out of the 30 barangays in Dumaguete City have been chosen as pilot areas in the implementation of the “Oplan Ligtas Pamayanan” program of the Bureau of Fire Protection (BFP). Oplan Ligtas Pamayanan has four core programs, namely, “Handang Pamayanan,” “Bayanihan,” “Kaagapay,” and “Lingap” programs. Under Handang Pamayanan, the pilot barangays: Bajumpandan, Looc, and Motong, as well as the rest of the villages, are required to make a thorough fire hazard assessment of their respective areas. 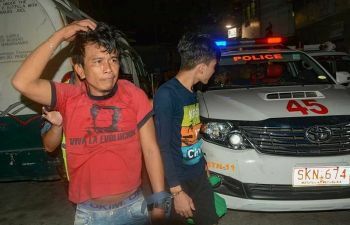 Special Forces Officer 1 Earl Manny Uy, administration chief of BFP-Dumaguete, said on Wednesday, March 13, that Bajumpandan was included due to the presence of at least 10 housing sites, including Camella Homes, aside from the six “puroks” or clusters and the presence of sugarcane plantations and bushes. Records show that the BFP in the city has responded to several fire alarms in the said village, including bush fires and burning of sugarcane field. Aside from assessment of the barangays concerned, they are also required to conduct hazard evaluation, hazard elimination, come up with a community hazard map and develop a community fire protection plan for tasking purposes. Uy appeared during a recent regular session of Barangay Bajumpandan to spell out the objectives of the program, the foremost of which is to increase the number of organized and trained communities as partners of BFP in preventing and suppressing destructive fires, as well as decrease the occurrence of fire in the most vulnerable areas of the community identified with a lot of informal settlers. It is also aimed at establishing strong partnerships with the local government unit in enforcing the fire-related laws through agreements and reduce the number of related injuries and deaths. Instead of the barangay volunteer fire brigades, pilot barangays are encouraged to organize and train their respective Community Fire Auxiliary Group (CFAG) and to require every housing site to have their own fire auxiliary group under the CFAG of the barangay. Under the “Kaagapay” program, the BFP will conduct a fire safety seminar in every community, including on how to prevent fire occurrence and instructions on what to do in cases of fire. Uy said that due to the strict enforcement of Republic Act 9514, otherwise known as the New Fire Code of the Philippines, fire safety inspection is strictly enforced during the renewal of business permits. The problem is on single or two-family dwellings in the barangays, especially in low-cost housing sites where inspection is seldom undertaken unless complaints of hazardous practices are brought to the office by neighbors. With the CFAG, a house-to-house evaluation will be conducted to check on the electrical connections of residences, as well as determine hazardous practices and advise them how to eliminate the hazards to reduce the possibility of a fire.